If, like me, you love looking in Estate Agents’ windows at the homes you dream of owning, then you’ll love today’s post. Alternatively if you’re lucky enough to have a large sum of money to invest in your next property then this one could be for you. 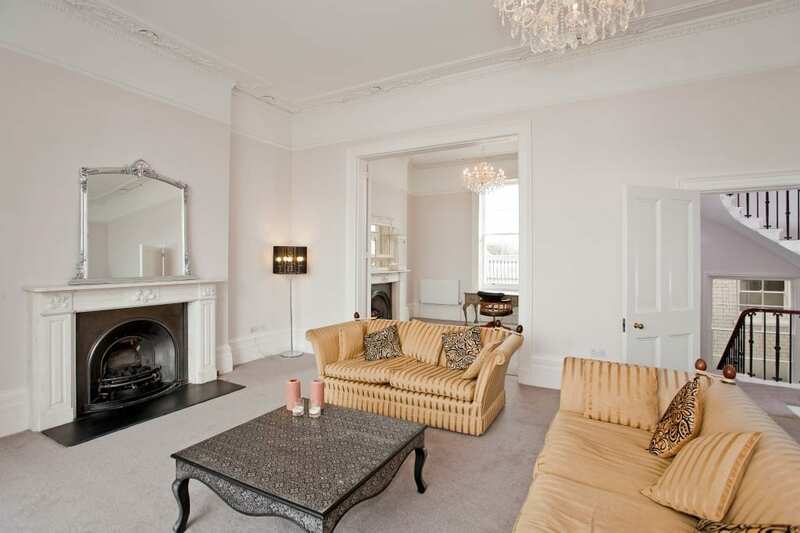 Whatever the circumstances I’m sure you’ll love looking inside the walls of this beautiful Regency home in Cheltenham. 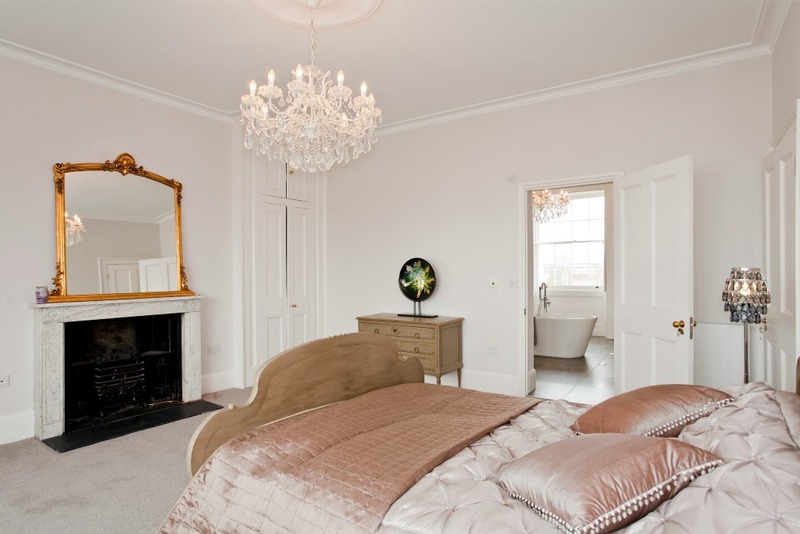 This Grade II listed townhouse is typical of those built in the Regency style and you certainly get a lot of space! 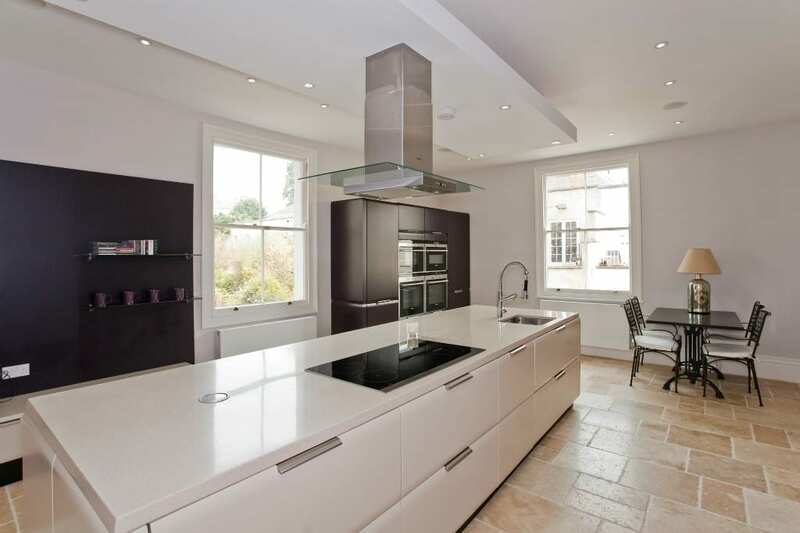 Check out the beautiful kitchen, large and spacious and incredibly modern. It might be for everyone but I actually love that this old style house as an uber modern, contemporary kitchen. It’s just what I would look for in a property; a mix of old character features, but modern up to date decor and fittings. My favourite part of this house has to be the main bedroom and en-suite bathroom. I adore the huge vastness of the rooms, the whitewashed walls and the central location of the bath. The combination of old style chandeliers with the modern and sleek design of the bath gives the room elegance, character and a real appeal. The fireplaces througout this home are just lovely, and even though it has undergone extensive renovations, period features like these fireplaces, the ceiling mouldings, floor to ceiling windows and the deep skirting boards have been retained. This 5 bedroomed home, arranged over 5 floors even includes a self-contained 2 bedroomed apartment, ideal for older grandparents or for a lucky teenager. The elegant first floor drawing room is a real feature of the house with full floor to ceiling windows at either end of the room. The light must be amazing in there, and although the images don’t show fully how incredible this room could look, with a little imagination can you see how, filled with the right accessories, this room would be incredible. The Regency era, around the beginning and early part of the 19th Century was a period of excess and is characterised by a distinct trend in British archictecture. It’s no wonder that grand homes like these are still extremely popular and sought after. Demand for something so beautiful is still high even at the asking price of £1.5 million. 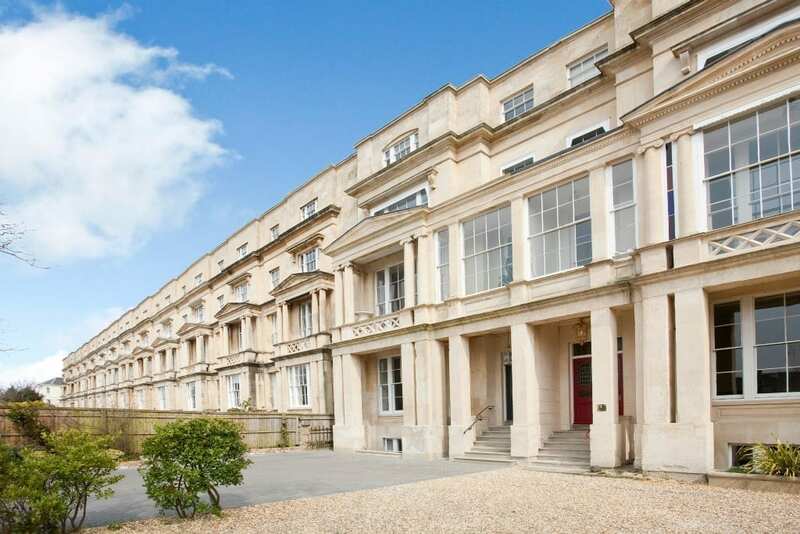 This particular property in Cheltenham is on the market with Savills but I’m sure it won’t be around for long! I hope you’ve enjoyed this little virtual tour of a stunning home today, I know I have. Wow – a truly stunning home and yes I think only in my dreams will I have a home like this!! 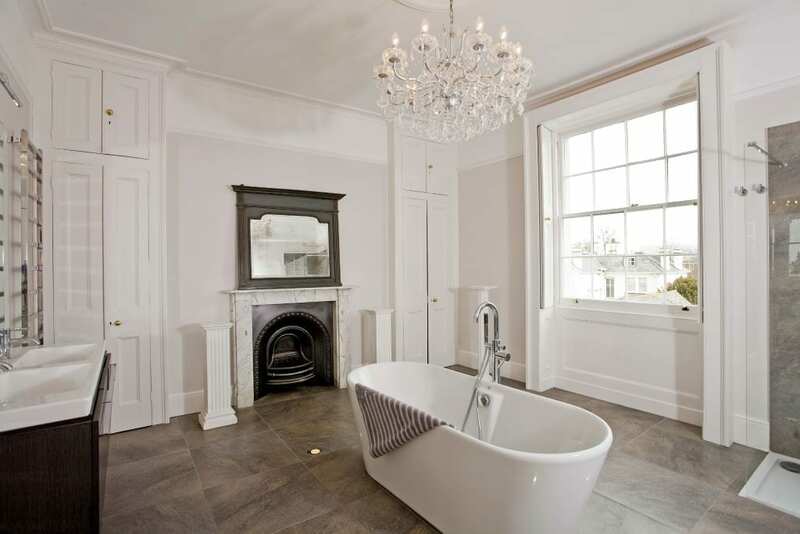 The big, freestanding bath in the middle of the room is my favourite!